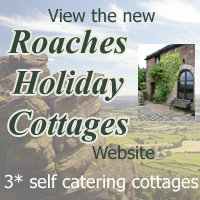 Welcome to the Roaches Tea Rooms Gluten Free Menu. We are very proud of our Homemade selection of Gluten free Meals and Desserts and we very much hope you enjoy treating yourself! Wherever possible the prices on our Gluten Free Menu remain the same as those on our ordinary Menu but where Gluten Free Flour/Products are used then the increased costs are reflected. All items are subject to availability and may take a little longer to preparemay take a little longer to prepare than similar items on the main menu. Thank you for your patience. We cannot guarantee that the products used do not contain nuts or nut derivatives.